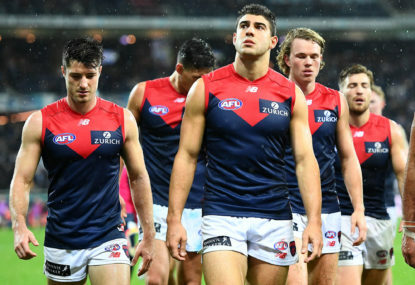 It is odd that a team which plays as Melbourne does – contested, physical and hard-nosed – is so prone to going to water. Some teams fall over like a house of cards. The foundation is always vulnerable, disguised by a smoke and mirrors system or a handful of transcendent individual talents, and the collapse makes sense. 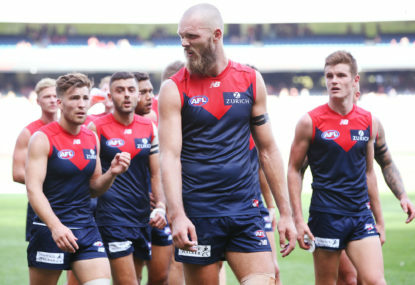 Melbourne’s collapses make no sense beyond the players looking compelled to pay masochistic tribute to the past decade of their team’s shortcomings. Until the final stanza – whether it’s the final quarter, or last year, the final game – the Demons are rock solid. Then they toss all their work into the air, turning it into china while airborne, and see how loudly and emphatically it can smash to pieces in front of them. 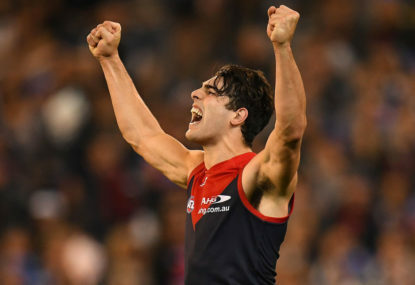 The win in Adelaide was a perfect summary of the Demons. They dominated the second and third terms, turning an arm-wrestle into a former arm-wrestle, gradually but undeniably suffocating their opponents until, by the depths of the third quarter, Adelaide couldn’t string three clean possessions together. 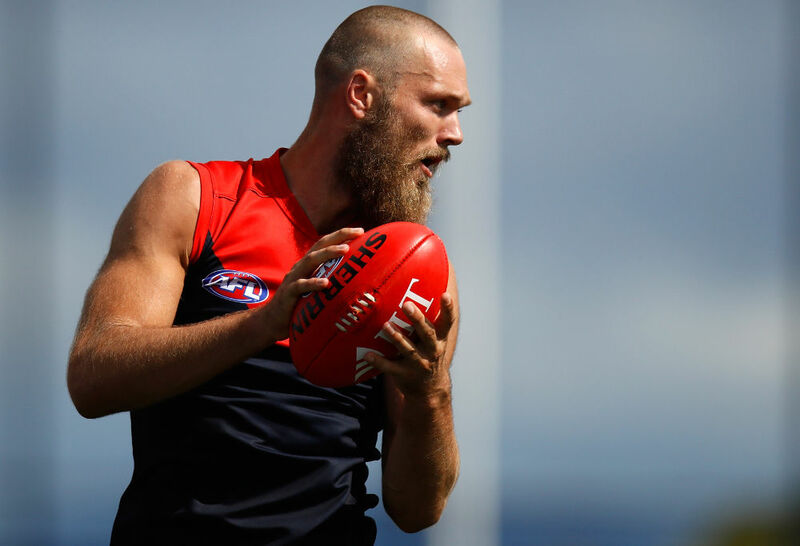 For Melbourne, it all starts in the middle, with Max Gawn and Clayton Oliver – the Dees’ two best players. Gawn and Oliver are the most dynamic and impactful interior duo in the game – Gawn the best tap ruckman around, Oliver among the small number of most elite clearance mids. Gawn’s genius is self-evident – the tallest player on the field doing the deftest things on it stands out. Oliver is less obvious, but each week he becomes more irrepressible. He has a PhD in extraction, a master of angles and quick releases in small windows. He’s old school but also quick-twitch – he slams his body into contests to win position, then, in a strange form of explosiveness, is able to quickly manipulate that position and free the ball to a teammate in space. Oliver and Gawn were at the heart of the win over the Crows, the dominance at stoppages too definitive to overcome. They hardly did it alone, though. What makes the Demons most special is the number of tough, vigorous midfielders they can rotate through stoppages. Christian Petracca is the most compelling of all of them, and his past month has been ominous. If Petracca is ready to be a 22-touch, five-tackle, five-clearance, one-goal midfielder, alongside Oliver, Angus Brayshaw, Nathan Jones and Jack Viney, the Dees can beat anyone. They probably already can – if only on a given day. They’re skilled and brutal, with elite talent waiting inside 50 to punish. Their pressure can be ferocious. It’s not as manic as Richmond or Collingwood but in some ways it’s cleaner – the Demons have a habit of generating turnovers like NFL interceptions, a team of free safeties picking the ball off in the air after a hurried pass and immediately going back the other way. 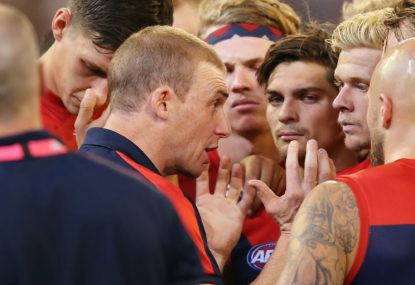 All the pieces – except perhaps for a healthy Jake Lever and a bit more outside dash (the best theoretical version of healthy Jayden Hunt would help) – are in place, the Dees just need to stop riding their bicycle into trees. The near-collapse against the Crows was farcical. 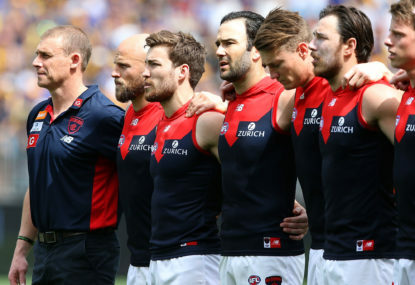 Late in the piece, Melbourne played like a team that felt it was obliged to meltdown – the game was won and then they made the unconscious decision to try and lose it. If not for numerous missed Adelaide chances from the goal-square, they may well have succeeded. They escaped, though, after dramatically not escaping the week before. It wasn’t convincing, but it was a win, and for a group so unproven in big moments, maybe that will be enough to convince them. If they start to believe, and play four quarters with that belief, then any opponent should be concerned, because the Demons are the only side in the competition that can beat 18 teams. It’s a small sample size, but Melbourne coach Simon Goodwin likes what he’s seen from the Max Gawn-Braydon Preuss ruck tandem and is keen to continue the experiment. 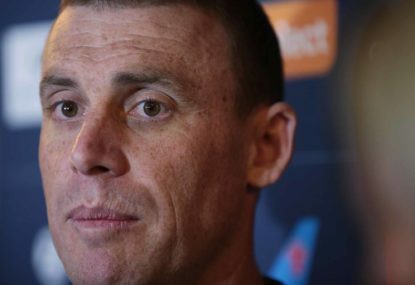 Simon Goodwin knows Melbourne fans are hurting after the Demons’ winless start to the AFL season continued against undermanned Essendon. 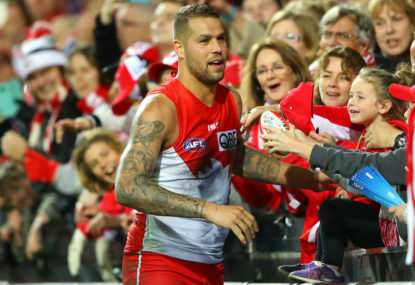 AFL Friday night footy can’t come fast enough for Simon Goodwin.